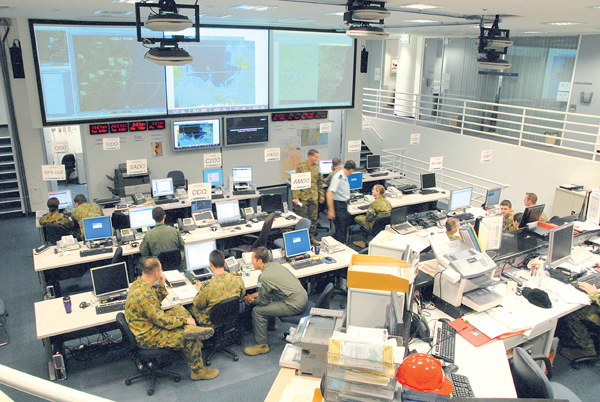 In 2011 I wrote about the design of Australian Defence Command and Control Centers. 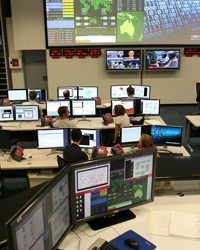 This was illustrated with images of the Defence Signals Directorate Cyber Security Operations Centre (CSOC), opened in January 2010 and depicted staffed by civilians. The other photo was of personnel in ADF uniforms in the "Air Operations Centre in Canberra". There is more on the room in "Taking Command", by Joris Janssen Lok (Aviation Week, 25 June 2007).